Glasgow MSP Anne McTaggart has called on people across the country to give their views on her proposal to introduce a ‘soft opt-out’ system of organ donation in Scotland. Ms McTaggart made her calls ahead of the closing of the Scottish Parliament’s Health and Sport Committee’s call for evidence on Monday (12th October). The Committee is seeking the public’s views on Ms McTaggart’s proposal to significantly change the law on organ donation in Scotland. The Bill proposes to amend the current ‘opt-in’ system of organ donation, whereby those wishing to become a donor are encouraged to add their name to the NHS Organ Donation Register. Ms McTaggart’s proposals would mean that unless an adult had expressed an objection and ‘opted-out’ of the organ donation register, then their organ and tissue could be removed posthumously. Currently, despite 90% of people supporting organ donation, less than half of Scotland’s population is registered on the NHS Organ Donor Register. Following the collection and analysis of submissions, the Bill will be scrutinised by both the Finance Committee and the Health and Sport Committee at the Scottish Parliament in the coming months. Ms McTaggart’s Bill has the support of a host of charities and medical organisations including the British Heart Foundation, the British Medical Association, the Scottish Kidney Federation, and the Scottish Youth Parliament. Ms McTaggart said: “It’s really important that the public provide their views on a proposal as important as this. Moving to a ‘soft opt-out’ system has the potential so save thousands of lives and will bring about a real cultural shift on how we view organ donation in this country. “While I have applauded the work the Scottish Government has done in increasing the number of people registered on the organ donation register in Scotland in recent years, the truth is that Scotland is now the worst performing part of the UK in terms of donation rates. “The recent NHSBT Activity Report for 2014/15 shows that donation rates fell by 3% in Scotland, with 5% less people receiving a transplant. “For me the bottom line is that our current situation is not working; three people die every single day across the UK in need of a transplant. The available evidence shows that this move would help save these lives and prevent families going through the heartache of losing a loved one. Wales are introducing a ‘soft opt-out’ system in December and other countries around the world have been operating this system for decades. • Health and Sport Committee call for evidence. 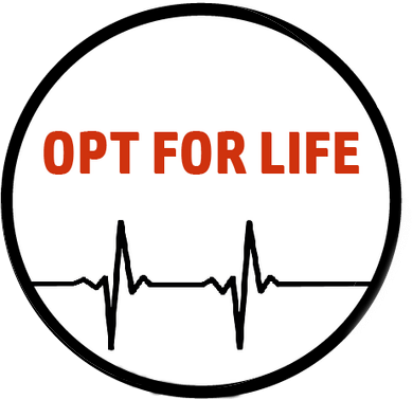 This entry was posted in Organ Donation, Uncategorized and tagged #optforlife, health and sport committee, organ donation, Scottish Labour, Scottish Labour Party, Scottish Parliament, soft opt-out. Bookmark the permalink.